Not every dog is a Flyball star, but a lot of dogs love to play fetch with tennis balls. That's why so many dog lovers like my handmade fetch themed dog jewelry. Few dog lovers could resist smiling big when opening a Christmas gift containing one of these necklaces, bracelets, or earrings! 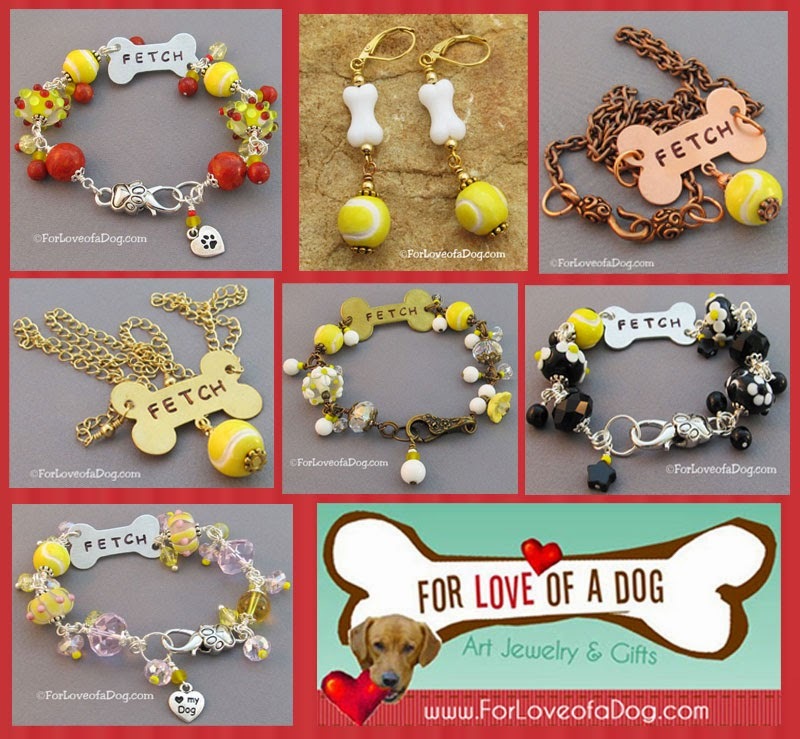 Yes, you can choose from hand stamped dog bone tennis ball bracelets and necklaces. Even barking good earrings. Some include handmade artisan lampwork beads, gemstones and crystals. Almost all include hand crafted porcelain three dimensional tennis balls. Did I mention how cute these are? Shown above are just a few examples. those little tennis balls on there are the cutest ever!! These always make me think of Cricket....our beagle retriever! LOL Beautiful jewelry.